Being a ScaleOut software expert, I understand how frustrating and time consuming it is to manually create these accounts + blogs. 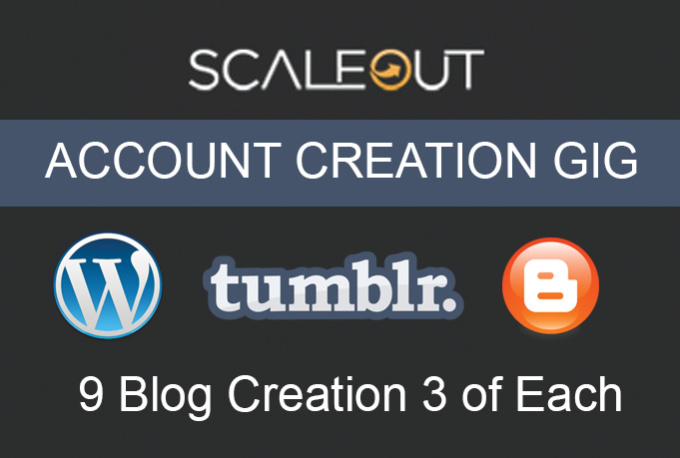 Create 3 x Blogspot, 3 x Tumblr and 3 x Wordpress for you for the ScaleOut software. Each blog will be country of choice IP specific and brand new and comes with login details. You will be responsible for uploading to ScaleOut or order our DFY Extras. What's up guys! My name is Himmt dagla and I am proficient in SEO and occasionally messing with graphic manipulation software including, but not limited to Photoshop.